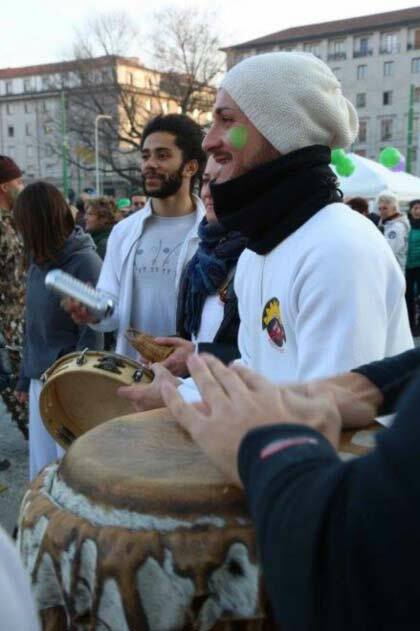 Roda of Capoeira Sou Eu group at Darsena, Milano for the Global Climate Parade! The 5th batizado and camping of Capoeira Sou Eu Athens was held at Argolida on the 30 & 31 of May 2015. Many capoeristas from the Milan school also attended. 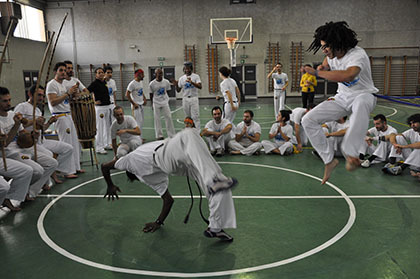 The 15th Batizado of the Capoeira Sou Eu Milan group was held in Milan in 14 and 15 March 2015. The Sou Eu Athens group was also there! The 4th batizado of Capoeira Sou Eu Athens was held in Athens on the 25&26 of April 2014. Many capoeristas from the Milan school also attended. 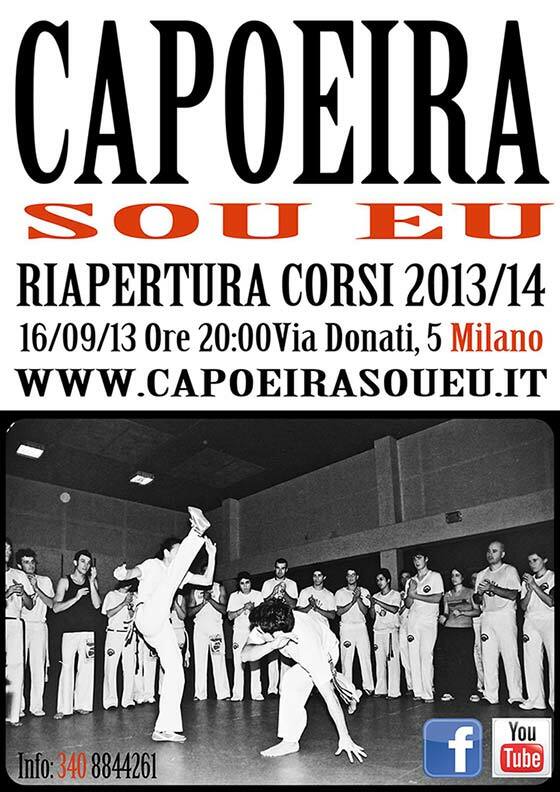 The 14th Batizado of the Capoeira Sou Eu Milan group was held in Milan in 15 and 16 March 2014. The Sou Eu Athens group was also there! Capoeira Sou Eu Athens organizes a Capoeira Seminar for beginners 19 & 20 October 2013 at Circuz Dayz in the center of Athens. 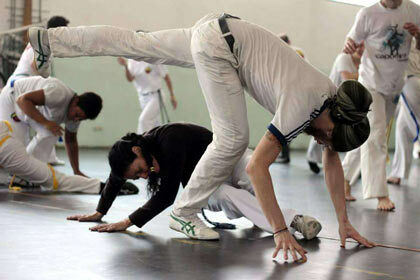 Capoeira open lessons for all! 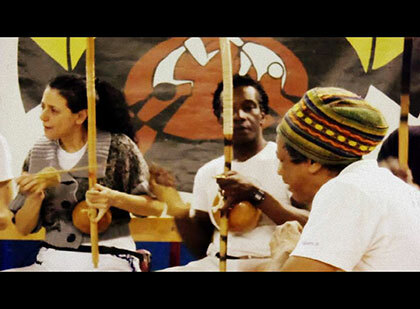 Courses Capoeira, maculelé, batucada and samba for adults and children! 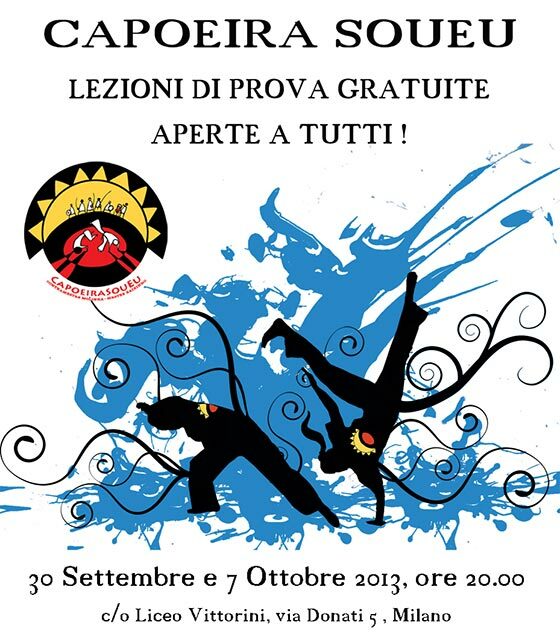 Video presentation of the Capoeira Sou Eu Milan-Athens group. 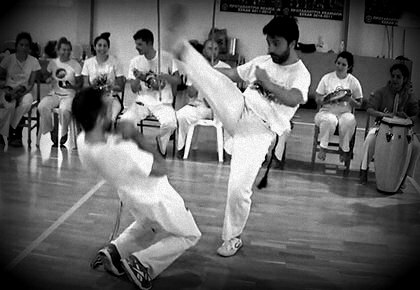 The 3rd batizado of Capoeira Sou Eu Athens was held in Athens on the 26&27 of April 2013. Many capoeristas from the Milan school also attended. 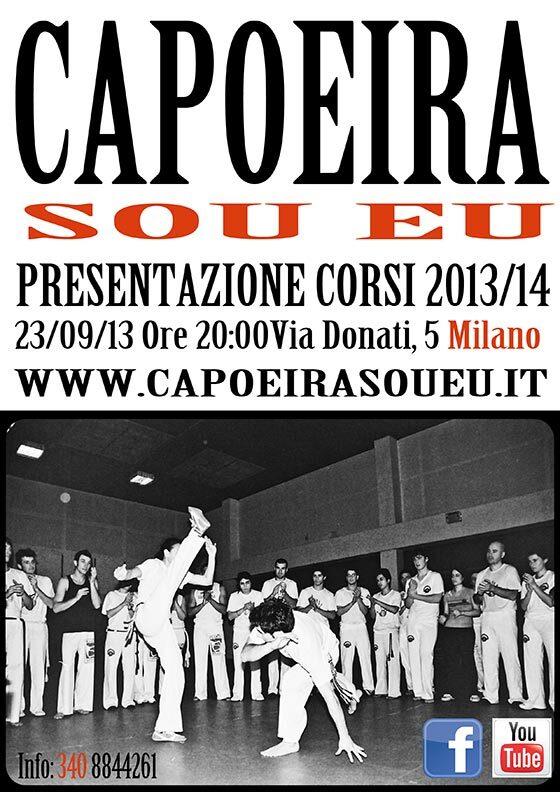 The 13th Batizado of the Capoeira Sou Eu Milan group was held in Milan in 2 and 3 March 2013. The Sou Eu Athens group was also there!